Want it by Wednesday 24th April? Order within 2 hours, 9 minutes and choose Next Working Day - Kerbside Delivery (Order Must be Placed by 2pm) at checkout. 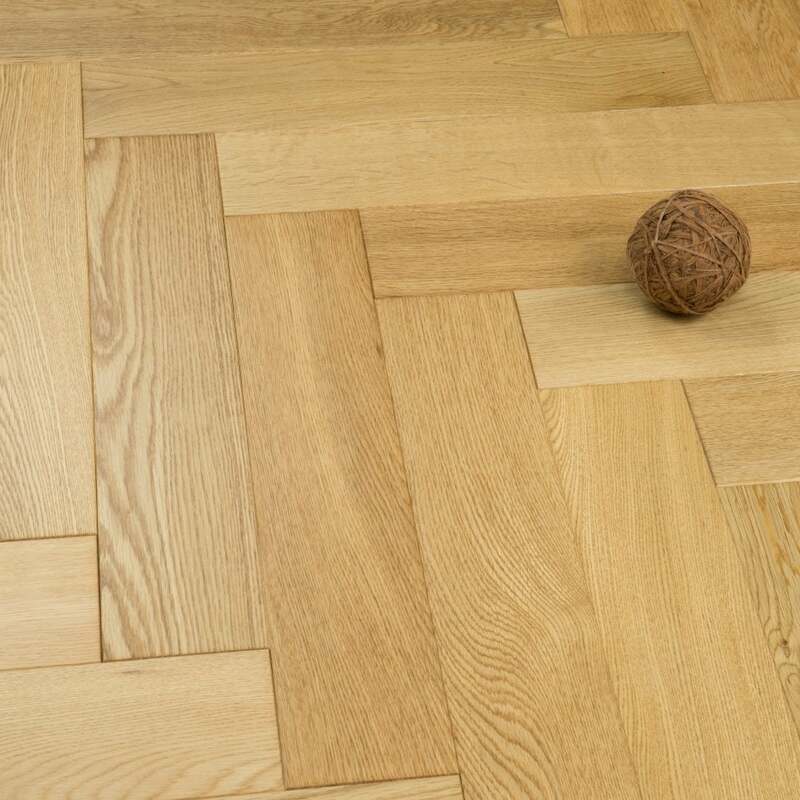 This luxurious Herringbone / Parquet floor is suitable for those of you looking a classy oak finished floor in your home, that has its own unique look from the majority of other engineered due to its design and pattern. Each individual prime graded lacquered board measures 90mm in width by 450mm in length. Its slight colour variation and low knot content provides a clean uniformed look thought your home.